Susannah (alternate spelling Susanna) Martin’s house stood on this site in 1692. On April 30 of that year, Thomas Putnam and Jonathan Walcott swore a complaint against Goody Martin. Martin was accused by Mary Walcott, Abigail Williams, Ann Putnam Jr., and Mercy Lewis. Amesbury constable Orlando Bagley escorted Goody Martin the 20 miles to Salem Village, where she was examined on May 2, and subsequently jailed in Boston. 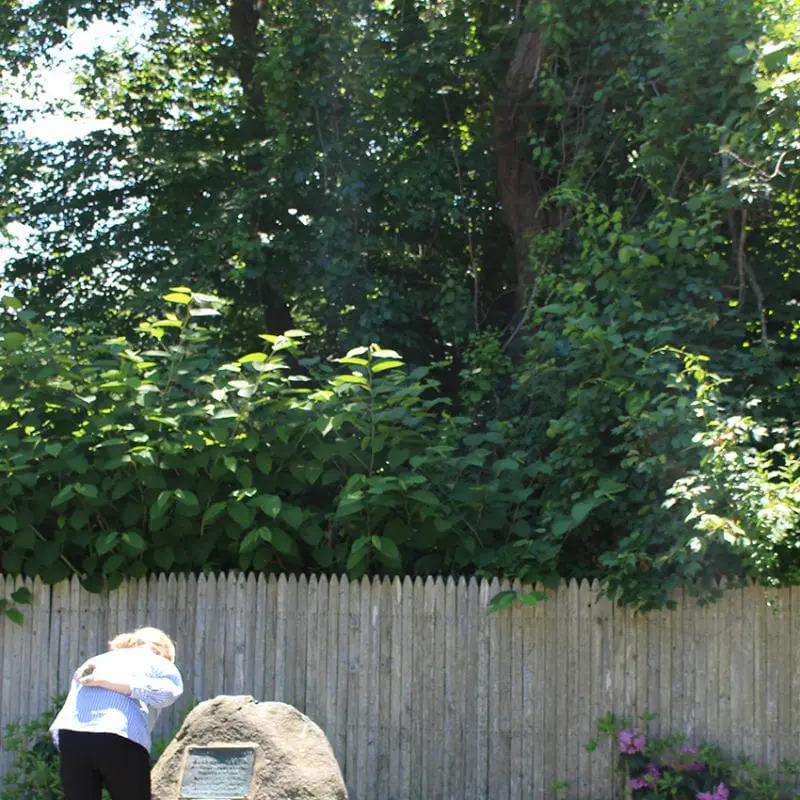 On May 31, she was transported from Boston Jail to Salem Town to await her trial. She was tried and convicted on June 29 and sentenced to death. 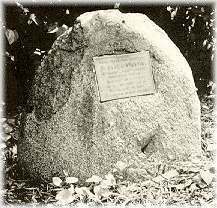 She was hanged on July 19 on Proctor’s Ledge at Gallows Hill. How did a widow of approximately 70 who lived some 20 miles from Salem Village get caught up in the witchcraft accusations? By all reports, her reputation made her a prime target. Long suspected of practicing witchcraft, and a victim of decades of gossip, she was no stranger to altercations with her neighbors. 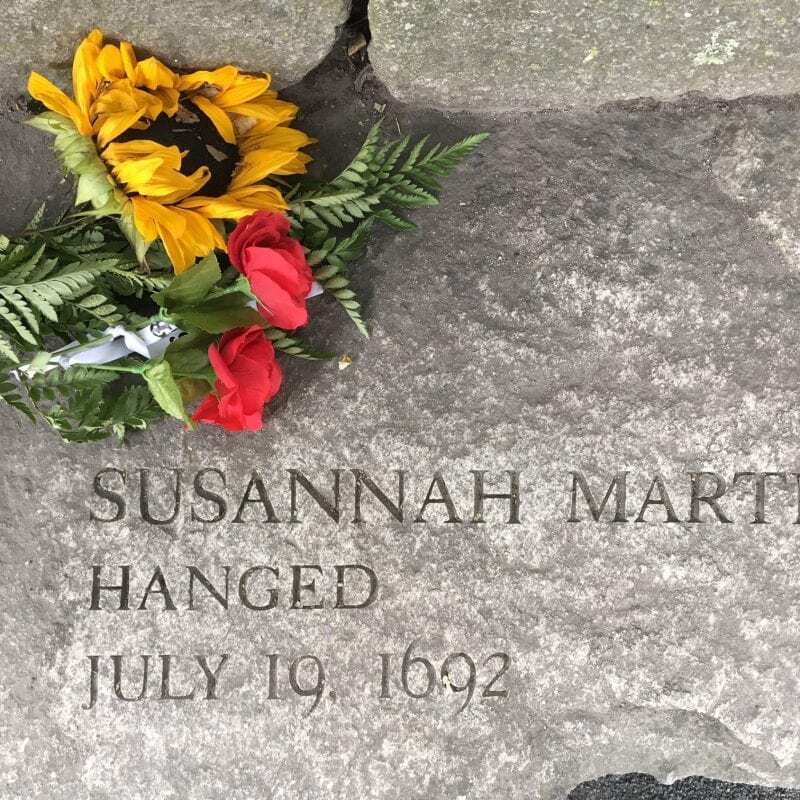 Born Susannah North in England in 1621, she moved with her family to Salisbury, MA when she was 18. In 1646, at the age of 25, she married widower George Martin and together they moved to Amesbury, Massachusetts in 1654. They were two of the earliest residents of Amesbury, which would be officially incorporated in 1668. In total, the couple had eight children. Susannah was left a poor widow in 1686 when George Martin died. Forthright and argumentative, Goody Martin’s past included six unsuccessful lawsuits to inherit her father’s estate. She had appeared in court as a defendant numerous times for a variety of offenses, including calling one neighbor a liar and a thief. She was accused of witchcraft on two occasions before 1692, with the charges eventually dropped. 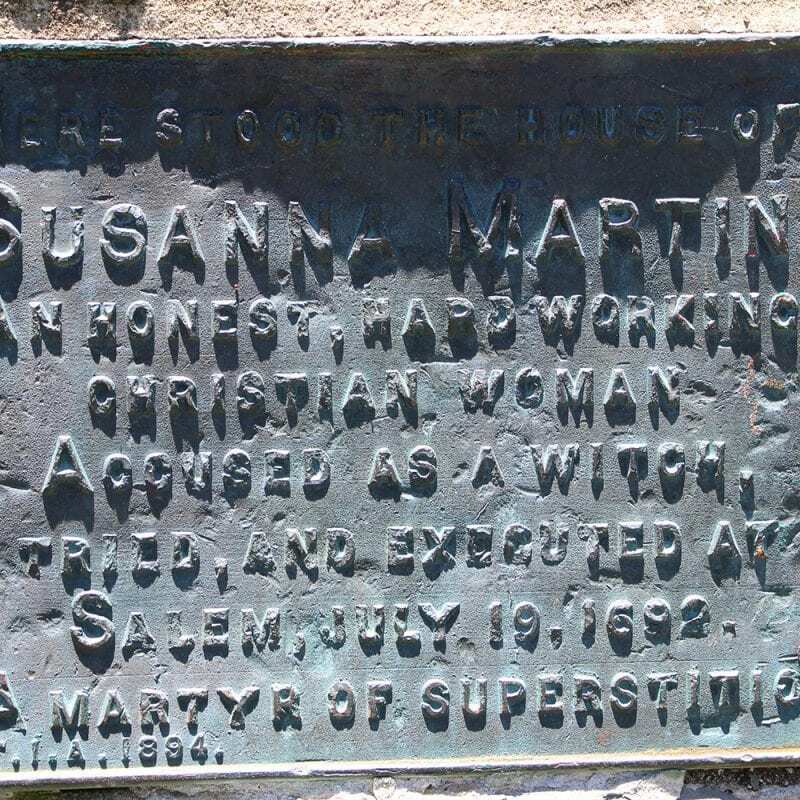 The Susannah Martin House marker is located at the end of Martin Road, which intersects with Route 110 approximately one-half mile west of the intersection of Routes 110 and 150.